You are looking for some common solutions which could solve your issue? Here are some tips which could fix your problem! One common solution for many problems is to launch the TruckersMP Launcher as an administrator. This simple step can solve many issues that my occur while playing TruckersMP. Another solution would be to reinstall TruckersMP completely. Open your Windows Search and search for %programdata%. It should find a folder called %programdata% - open that folder. Once you opened that folder, try to find the folder TruckersMP and delete it. Once you have done that, open your windows control panel and head over to programs and features. Once you are in there, delete the TruckersMP Launcher. After that head over to our download page and download the Launcher. 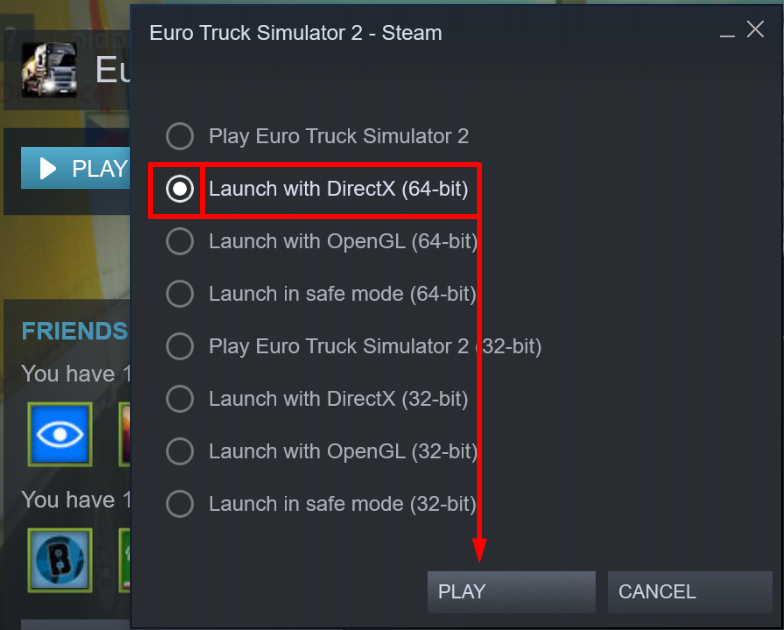 In order to verify your game files, you need to open the Steam Launcher. After that head over to your library and make a right click on Euro Truck Simulator 2. Once you have done that open the Properties and head over to Local Files. After you successfully arrived there, click on "Verify integrity of game files" and wait until Steam is done doing that. You may receive a new download after Steam is done. What if none of these solutions fixed my problem? If none of these solutions have fixed your problem, you can take a look at other knowledge base articles, our forum or you can get in touch with our Support Team here. Please do not hesitate to contact me on the Forums or on Discord if you have any issues or questions.